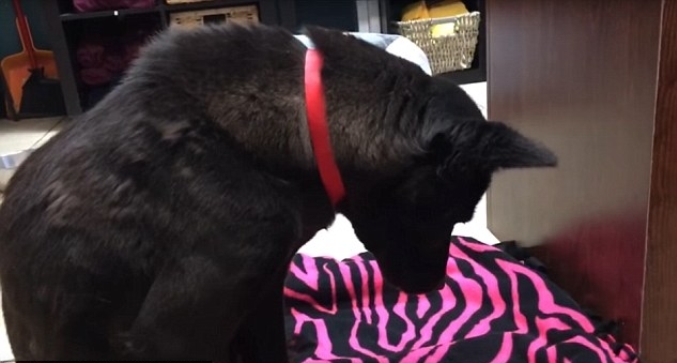 Heartbreaking footage shows a dog rescued from a South Korean meat farm sleeping standing up, because she didn't know how to lay down on a bed. 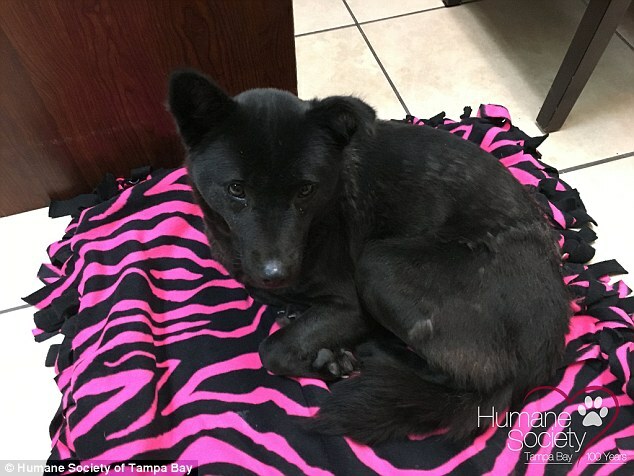 Harriet, a three-year-old Korean Jindo, was one of 200 dogs bound for slaughter before being saved from a dog meat farm in Wonju, South Korea last week. The dogs were rescued and flown to animal shelters run by the Humane Society in parts of the US, Canada and UK on January 20 so they could recover. Harriet, along with 14 others, were taken in by the Humane Society of Tampa Bay in Florida. The poor dog was so used to sleeping standing up - presumably because she has been held captive in a cage with multiple others - that when she got to Florida she didn't know how to lay down on her bed. Staff at the shelter said Harriet didn't know she could settle down on the pink and black blanket placed underneath her. She was filmed dozing off as she sat on the blanket before almost falling over at one point as she drifted to sleep. A volunteer spent an entire day showing Harriet how to lay down to sleep. Staff then took a photo of the dog curled up in a ball resting on the blanket. 'Even though our Korean pups are doing well and beginning to adjust, they are still suffering from the horror they endured,' the Humane Society said. Responses to "Dog rescued from Korean meat farm sleeps standing up 'as she knows no other way'"
Heart breaking. Thank god for the rescuers. That is the sadist thing I ever seen hope this dog can get it together and have a happy life.